The world of mobile casino software can be quite complex from the outside looking in. What many people probably realise is that very few – in fact, possibly none – mobile casinos actually design their own casino games. These are done by outsourced companies known as software designers. It basically the job of the designer to keep coming up with new and exciting games that mobile casinos can use on their mobile devices. Over the years the number of software providers has steadily grown and it’s seen as a good way to be part of a lucrative industry without ever really getting your hands dirty with the everyday running of a mobile casino. On the flip side the constant strive for innovation and improvement in games to keep up with the demand for smartphones and tablets is an endless task. As competition continues to increase, so will demand for better quality, more original and just more rounded, mobile casino games. It then comes down to the mobile casino to ultimately choose which software provider it wants to use. A range of criteria will need to be met for each company with some looking at the sheer number of games, quality of games, turnover of new games, variation, design, compatibility and features as just a starting point. Choosing one can be a tough choice, but what many mobile casinos have done is simply include a number of software designers to provide a better range for the customers. Usually each company will range between 20 and 40 casino games of which will become available for the casino to then add to their mobile games. But when you see mobile casinos that are carrying over 50 games you can be pretty sure that they include more than one designer. There could possibly be a rather large gulf between the design and look of each game as well, which could be another tell-tale sign. Alternatively, you can check our reviews of each mobile casino to see which software providers are associated with each mobile casino. First up, let’s start with the most popular software companies that produce mobile-compatible games. If you’ve spent any amount of time on an online casino, chances are you’ll recognise some of these names. As you can probably imagine, between them these companies produce the lions share of mobile friendly slots. Arguably one of the best known casino software designers going, Microgaming have been making mobile products since 2004, which is one of the longest serving. They also boast the biggest back catalogue of casino games which makes them a natural link between some of the biggest mobile casinos in the industry. Their compatibility with pretty much all mobile devices again adds another string to their already increasing bow. There games repertoire consists of a strong number of slots, video poker, roulette and blackjack games. All of these are available in HD but they actually automatically recognise the optimal resolution of your screen and adjust accordingly; which we found super cool! Microgaming can be found at 32 Red Casino, Sky Vegas, MR Green, Harry Casino and Vegas Palms. NetEnt are like most mobile casino software providers in that they were originally already designing casino games for online based programs. They have been doing this since 1996 but it wasn’t until 2011 when they decided to make a dash for the mobile casino market. Since then though they have managed to promote a good range of casino games that include slots, blackjack and roulette variants. What’s been most impressive about NetEnt’s plight is their dedication to design with easily some of the best looking mobile casino games in the industry. They are currently affiliated with Mr Green, Harry Casino and Next Casino. Playtech are probably the company that’s made the biggest strides in the shortest timescale. They have only been making mobile casino products since 2012 but have already managed to establish big money deals with gambling powerhouse’s bet365, Betfred and Coral. Their constant strives for design and innovation within games has definitely made them one of the biggest software providers going. But there is no style without substance in this industry and Playtech have definitely managed to find a great balance of both. 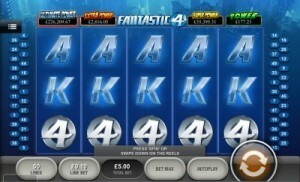 Slots are understandably their main port of call after tying down branded slots such as Iron Man 2, The Fantastic Four and The Incredible Hulk. On top of that though, they are probably one of very few to include live dealer games, branded scratch card games (Rocky, Pink Panther and Chicago Streets) and video poker. In addition to the big boys listed above, there are also a number of smaller mobile slot producers. Some literally only have a couple of titles to their name, whilst others have a more substantial offering. Alchemy Bet are the youngest software provider for mobile devices on our list. Interestingly enough, they design only products for mobile devices and even more ‘niche-y’ they simply target slots games as a result. The games on offer provide a really strong array however, and we can see them being used with another provider to make a really cool mobile casino. Most games are designed within HTML 5 as well which means there should be little to no compatibility issues for any modern day mobile device. Ash Gaming is a British software company founded in 2000 to produce multiline slots exclusively for the online world. 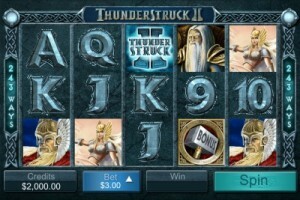 After building its brand for a decade with a unique take on standard themes the company was acquired by Playtech which enabled it to expand its distribution across a wider range of casino platforms. Ash Gaming looks to improve a player’s slots experience with attention to graphics and innovative bonus games. Developers no longer tightly hew to the traditional win lines and now look for ever more clever ways for players to win. As an independent company Ash Gaming carved a reputation among sports books such as Bet365 but as a subsidiary of Playtech its slots can now be played at Betfred, Virgin Casino, Mecca Games and many more. Barcrest is one of the storied names in British gaming, filling pubs and arcades with terminals since the 1960s. In its gaming stable is one of the slot industry’s all-time biggest hits, Rainbow Riches. Since its release in 2006 Rainbow Riches has spawned more than a dozen offspring. Barcrest’s expertise has now been brought together with the technical wizardry of Global Draw under the Scientific Games corporate nameplate. The uniting of the two venerable UK brands is sure to bring ever more mobile gaming options to players in the coming future. Betsoft is a mobile slots developer that has managed to nudge into the busy mobile slots playing field by occupying the niche of cinematic 3D graphics. Such popular narrative-driven games as the Slotfather, Safari Sam and Mr. Vegas have proven to translate well to the Betsoft ToGo mobile platform. The distinctive games from the Cyprus-based developer are not always the ones found in the front of online casinos. You can find them at Vera & John, Leo Vegas, Chumba Casino, Kroon Casino. Blueprint Gaming was established in 2001 in the United States as a content provider. The company pursued an open distribution model that made anything it developed available for online and offline distribution providing the user network could make the case that it was to the benefit of players and providers alike. Since 2008 when a controlling stake was purchased by gaming powerhouse Gauselmann Group the company has expanded development operations to Asia and Great Britain. Blueprint has built a small catalogue of mobile multiline slots by first releasing its popular games, many of which have tie-ins to cultural touchstones like the Lone Ranger, Viz comics and Bruce Lee. Blueprint Gaming products can be found at Virgin Games, Spirtin Gaming, Betfair, Sky Vegas, 888.com, Bet365 and many more. CORE Gaming is a UK-based developer that relies on its mastery of HTML 5 for the creation of mobile games for phones and tablets. Justin Chamberlain helms the company, coming over after his Betlow Ltd was purchased by CORE Gaming in 2012. In the past the company has teamed with other top-rank game developers but in 2013 released it’s first branded proprietary mobile slots game in tandem with the estate of stunt hero Evel Knievel. You can find CORE Gaming featured at SkyVegas, Betfair, Paddy Power and Rank Interactive. 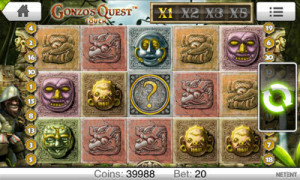 Cozy Games burst onto the gaming scene in 2005 by making its mark in the online Bingo game niche. It has also aggressively pursued the fast-growing draw and discard game sector with its popular Rummy options. The company grew its catalogue with strategic collaborations that have allowed it to offer a full suite of casino games, slots and instant win scratch cards. Cozy Games has taken its first steps towards 3D graphics and more of the same can be expected in the future. Cozy Games can be found at such mobile casinos as Casino Luck, Slotland, NextCasino and Crazy Vegas Mobile. CryptoLogic was one of the pioneering software companies in the online gambling world. Through the years it has brought out more than 200 Internet wagering games from baccarat to bingo to poker to slots. Prohibitive online gambling laws in the United States nearly scuttled the Canadian company a decade after its founding but it survived to be acquired by Amaya Gambling in 2012. While reviving the brand it has yet to open up the rich CryptoLogic vault to mobile platforms, but there are a couple of classics kicking around. Endemol didn’t become the world’s largest independent production company by developing hit television shows and then letting them plop there. Endemol Games was invented to bring the company’s wildly popular game shows to slots players. If you are a fan of the TV shows you will get caught up in the gambling action as Endemol endeavours to place players in contestant’s shoes. Besides slots many of the shows have been adapted to bingo games and casino table games – in the world of branded games options are boundless. Endemol Games spreads the wealth around – look for its mobile gambling games at bet365, Virgin Games, Coral, Betfred, Boyle and others. Probability Games have been going since about 2003 and again, are another who has dedicated their design services to the mobile industry. It was actually pretty interesting to learn this considering how early they got into mobile casinos, yet it’s only been the last couple of years that the market has really started to take off. They pride themselves on making solely HD games which is ideal for the modern generation of smartphone and tablet devices. At the minute they include a roulette version together with a good amount of slots to make the network that little bit more inviting for potential customers.